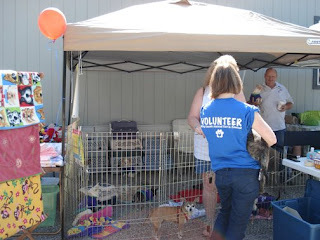 It was a beautiful day and a mob of people (971) came to the adoption day at the Kent Animal Shelter. What a delight! 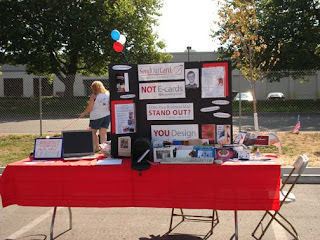 There were vendors, rescues, music and even food! 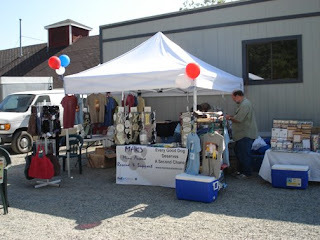 Of course the star of the show and why we were there, were the dogs and other animals. They all deserve a forever home with a nice family. 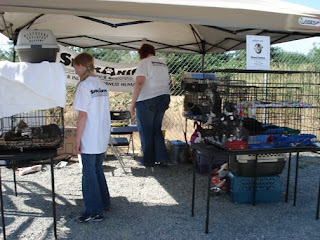 That is why so many vendors and folks came out to support and adopt. 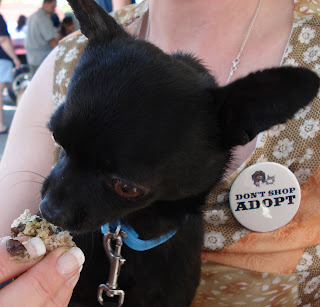 There were 105 adoptions through the various groups! 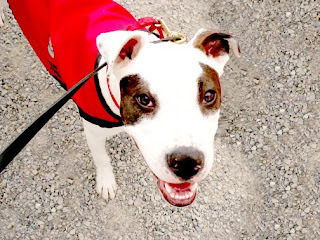 Like Penelope Jensen, Intuative Animal Communicator, penny@penelopecommunicates.com was a vendor who was able to read for Oso, a newly adopted pup. 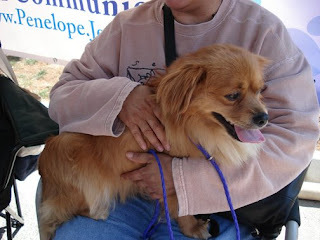 And many more dogs that were there along with their new owners. 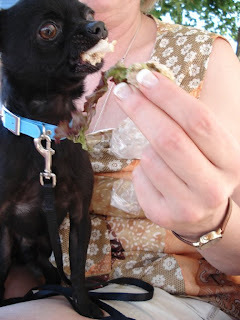 Or Puppy Bat who was adopted by a girl who is in need of a dog in an assistance capacity. This little sandwich muncher just got his new best friend! 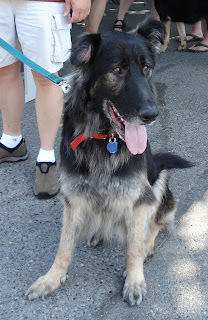 Batman on the other hand did not find his new owners at the event but just knows you are out there. He is a wonderful boy. Just look at him. He is Batman and looking for his parents to help him become Bruce Wayne his secret identity! Batman is FOREVER cute. A total chick magnet! Batman was not alone. 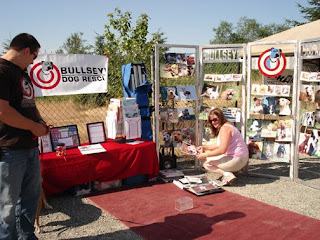 He was at the Bullseye Rescue booth. With Ducati. What a beauty! She is such a darling! 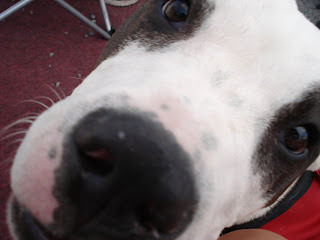 And Josie who was a real riot. 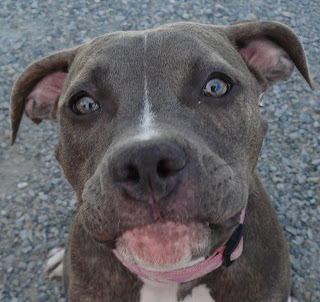 She says, "You gonna adopt me? Well punk, are ya? Please." 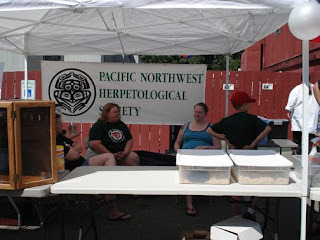 The Pacific Northwest Herpetological Society was really cool. The snakes and reptile folks. I did not take a shot of it but I spent quite a bit of time holding a corn snake. It was pretty cool. 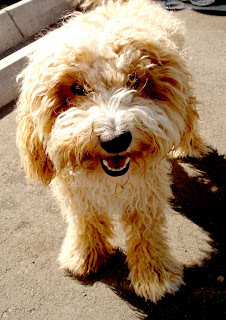 This is Odie. He found his new best friend too. 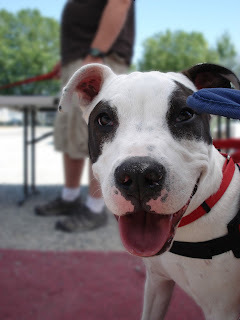 One who stole my heart at the event is Daisy with Homeward Pet. She was so very soft and just a doll with everyone! She is just so beautiful. 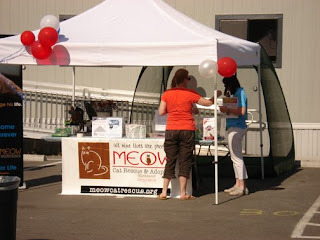 Meow Cat Rescue was there with quite a few cats. The kittens are always so cute playing in their big tents. 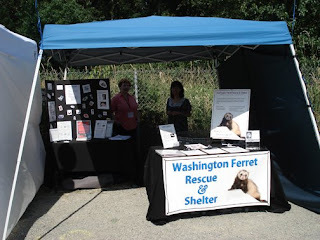 And the Washington Ferret Rescue had a few adoptions too. Spoil Animals a local grass roots effort was on hand. 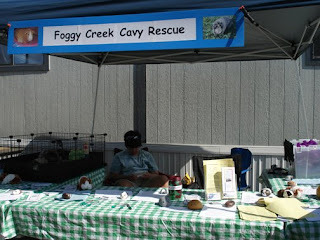 Foggy Creek Cavey Rescue. They looked like Gerbals. Don't know much about them but they sadly, need a rescue too. Send a card did not have any dogs but they were in full support! 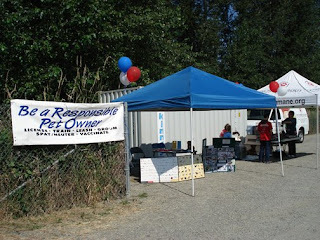 Mini Aussie Rescue Group had some great dogs with them. 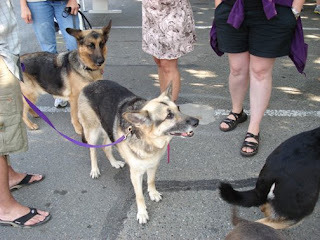 German Shepherd Rescue was there with some wonderful dogs , aren't they all! 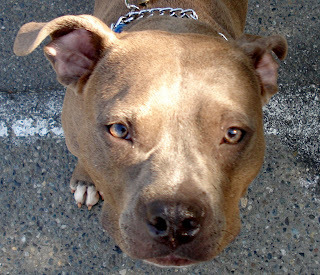 Like Saxon.What a handsome fellow. He was so mellow and just really did not have too many worries. 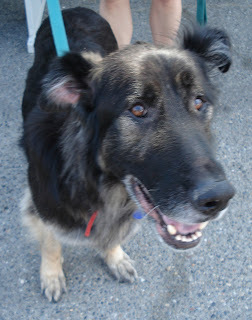 And Rosie who just does not look too much like a German Shepherd. Ha! People are so great. 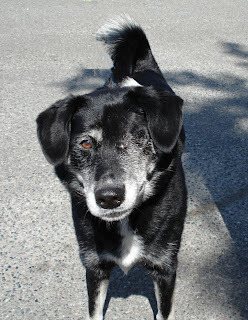 If they see a dog in need, there is no descrimination! The King Counties booth has a great sign that offers some very sound advice. Be a responsible pet owner. Your pet deserve it since you made the choice to take on their life. 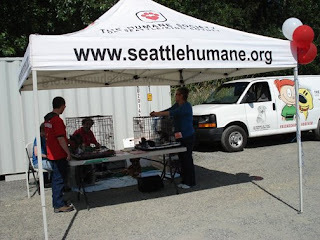 The Seattle Humane Society, working in concert with the County shelter event to help save our needy critters. I snapped off a shot while they were setting up for the day. 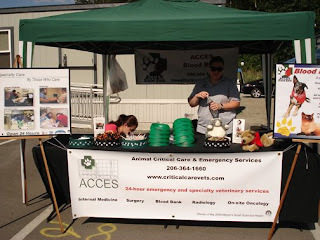 Animal Critical Care and Emergency Services. These guys are great and they need blood. Please call them to set up an appt. to have your dog give blood! 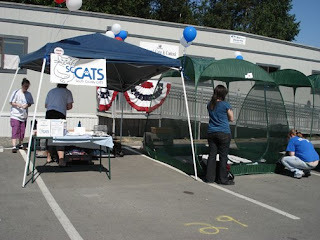 South County Cats Rescue was next to Meow. There were a lot of cats! Please spay and neuter. 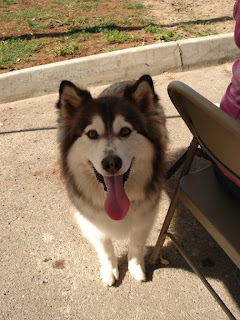 Austin, even though he is a Husky, was representing for the Malamute Rescue Group. There are too many dogs and not enough money to reach everyone who is looking. Please spread the word, dogs, cats, ferrets, horses, reptiles you name it, needs to be rescued. 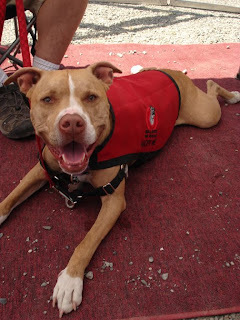 Lets do our part to help those that are in transition and need to be well cared for until they find their forever home. We can all just pitch in one afternoon and the results are amazing as to what can be accomplished. Especially being able to give love and encouragement to a scared, needy animal. I don't think there is a better day than that. Don't we all need great days.